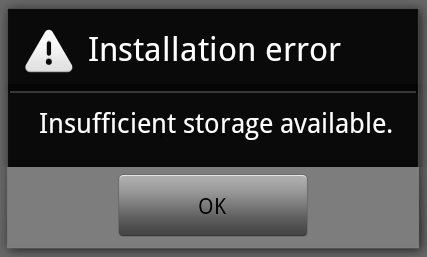 Insufficient Storage Available to Install Apps--FIXED! Hello Touchpad users! Have ever gotten a message saying there is 'Insufficient Storage Available' even when in Settings it says you have more then enough space available? Fret not! How to delete this ODEX? Simply get the latest version of Lucky Patcher , and when you launch up the app or on restart of the system, it will delete the ODEX. Other cool features of this app is to remove ads and licence verification from apps (for you pirates)! Don't Forget to leave a thanks! Copyright © 2013 faeqbook inc. All Rights Reserved.